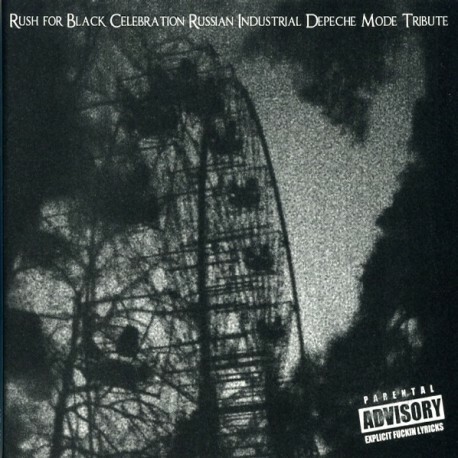 Russian Industrial Depeche Mode Tribute is the result of 3 years of work made by Russian industrial musicians who wanted to express their attitude to the famous band in an unusual way. As a rule, DM tributes (and there are over 30 of them as of today) present collections of carefully replayed DM songs, and this is done mostly for promoting those who decided to "replay the original" and make it "the same way as before". Rush for Black Celebration is completely different in this sense. First of all, in it's mood. This disc almost completely lacks the serene naivety of the 80-ies, often associated with DM. On the contrary, here one can feel aspiration for the dark corners of the subconsciousness, where one can accidentally (or intentionally) get while moving through the CD tracks. Secondly, this tribute is the only dedication to the legendary pop-band where the covers are not only driven by the feeling of recognition or love, but also by the critical revising their insane popularity, and even by the feeling of hatred to what they were doing. The result is 17 compositions almost fitting the 80-min limit of the CD.